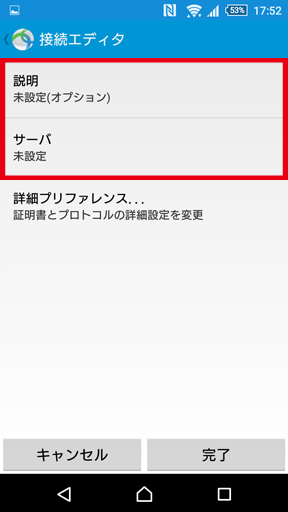 ※The portion which the following is redder than a management screen and it has enclosed is used for a setup. A change of a server is needed. 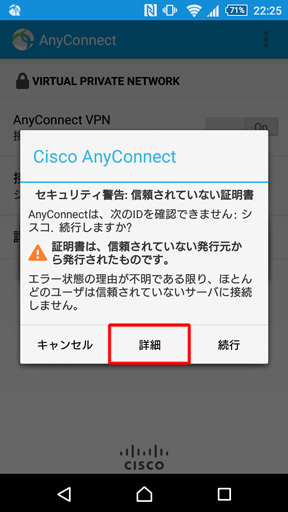 Please check that "Cisco AnyConnect" will be chosen. 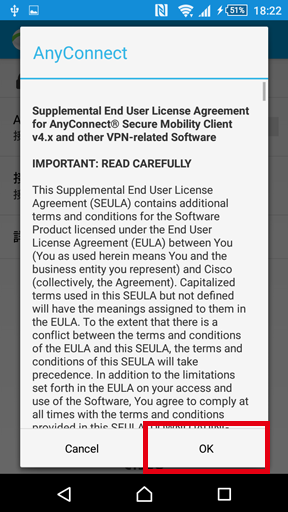 1,Cisco anyconnect can be installed free from Google Play. 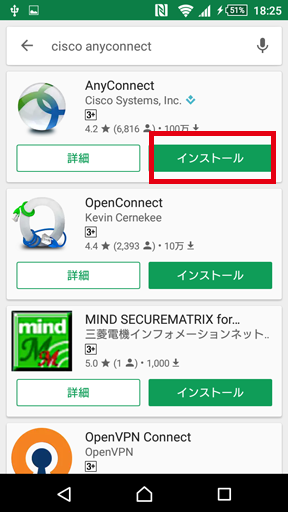 Please search "Google anyconnect" on Google Play and install software. 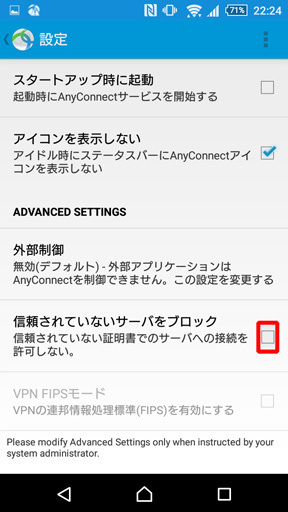 4,Tap Add New VPN Connection. 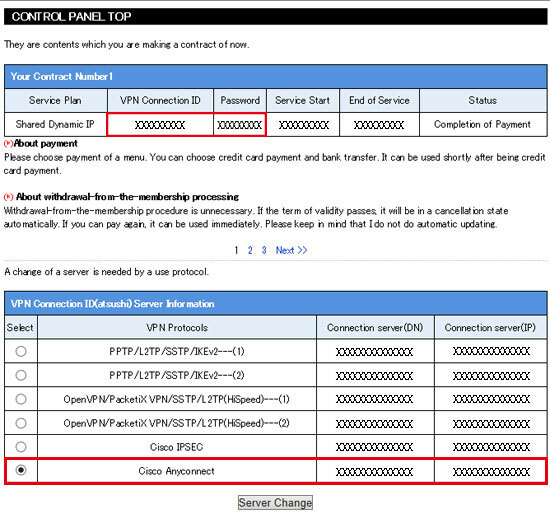 5,Please enter an arbitrary name in "Description" and the server (DN) of the server in the management screen. At this time, if you enter a connection server (IP), you get a certificate error, but you can connect. Please refer to the following for how to deal with a certificate error. Tap "Done". 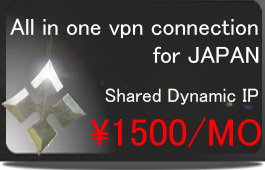 6,Tap 'Optionally entered (vpn here)'. 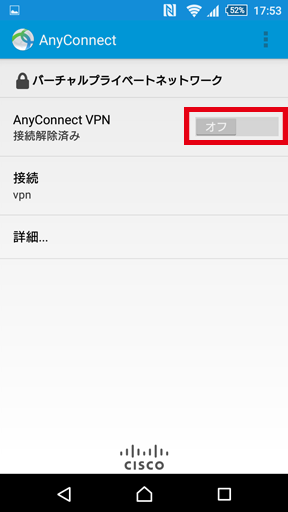 7,Turn on "AnyConnect VPN" switch. 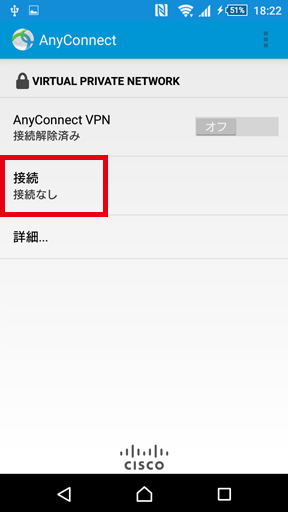 8,Enter the VPN connection ID on the management screen for "user name" and the connection password for that ID for "password". 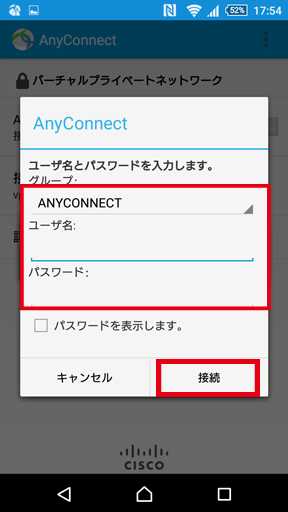 Anyconnect must enter a password each time you connect. If you would like to change password easy to memorize, please change the password from the administration screen. 9,If "Connected" is displayed, the connection is successful. 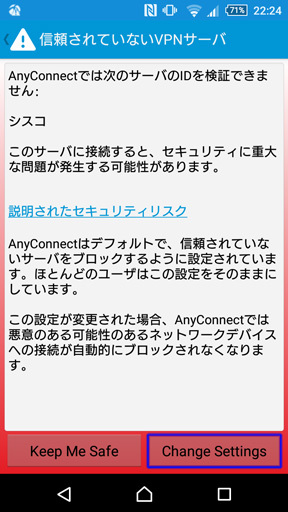 ※When using Anyconnect on an Android terminal, the following error may occur when using our server certificate. 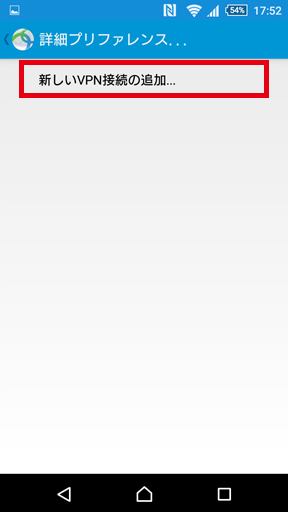 This is because the intermediate certificate of Rapid-SSL signed by Geotrust is not installed. 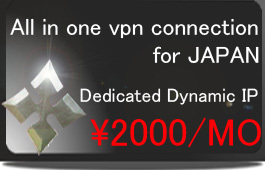 Our server certificate is an official server certificate signed by Geotrust. Please change the setting as below. When you connect to VPN again, the following screen appears. Tap "Details". 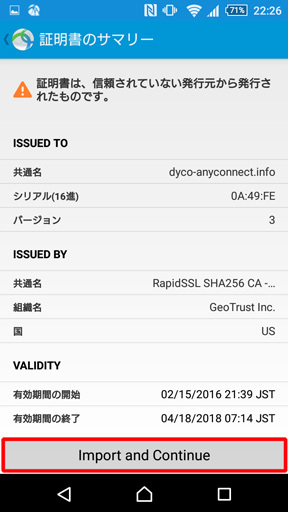 Please confirm server certificate here and tap Import and Continue. This error display disappears from this time on with this.